Become one of the fastest animals on Earth today! 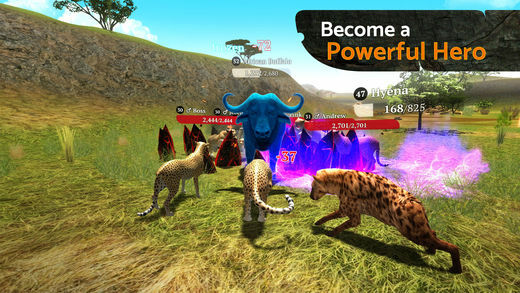 Explore wide and hot savannas as a cheetah and develop your skills to become the best of best. Encounter different kinds of wild enemies and prey, ally with other cats or try to compete with them - the choice is yours in this RPG! You can try yourself in one of two modes: CO-OP or PVP - everything in Online Real-Time Multiplayer. Play with people from all over the World! 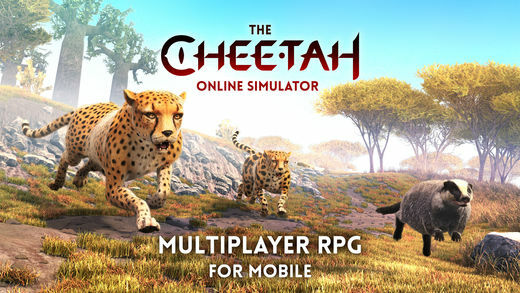 Online Real-Time Multiplayer RPG Stunning 3D graphics Beautiful environment Realistic animals Character development and upgrades Cooperative multiplayer hunting and PVP Battle Arena modes Smooth performance ONLINE MULTIPLAYER SIMULATOR You don’t need to be a loner in The Cheetah - meet players from all around the World! 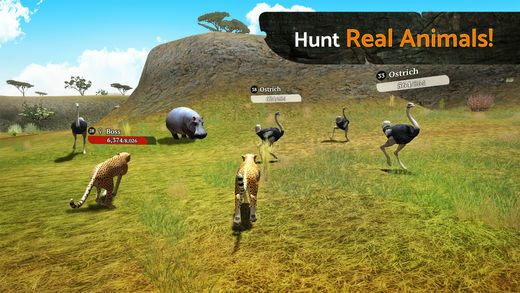 Challenge each other or hunt together in real time to get the best score. CHARACTER CUSTOMIZATION Choose your favourite cheetah and make it special! You’re the one to decide the strengths of your cat. African Cheetah? The unique King Cheetah? Or maybe a Ticked Cheetah? It’s up to you! RPG SYSTEM There are several decisions to make along the way. Which skills to upgrade? Which attributes to develop? You are the king of your own destiny. Choose wisely and become the strongest cheetah out there! AMAZING GRAPHICS The stunning environment makes your gameplay even more exciting! Explore the map to meet incredibly realistic gazelles, hyenas, meerkats, giraffes, elephants and other animals. Try to chase them all and admire the high-end graphics! 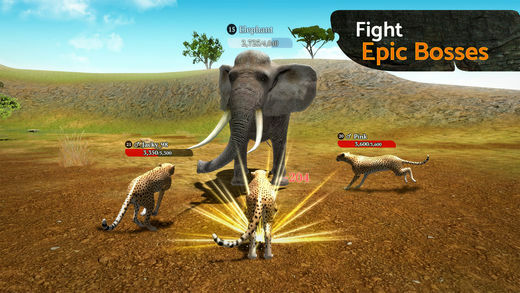 VARIOUS GAME MODES Cooperate with other players to fight the strongest opponents in the hunting mode! 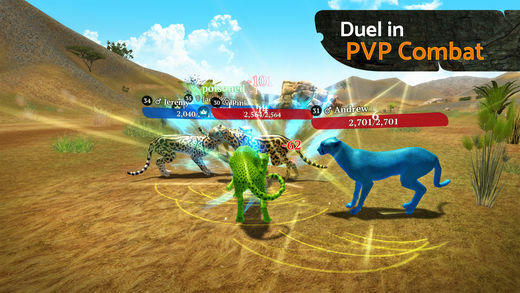 If chasing after your prey is not enough for you, join the PVP mode - you and your team will be up against a herd of enemy cheetahs. Prepare for war!